Shooting Star Shotgun Sports, LLC makes birthdays special and memorable. Our shooting range birthday party is also more affordable than you might think. Give us a call to discuss your needs, and we can create a day that your guests will be talking about all year. Having a bachelor party shooting event with us is a great way to introduce groomsmen and family members in a gentlemanly fashion. Shooting Star Shotgun Sports, LLC always has an instructor present so that even novice shooters can participate and have fun. Call us to start your bachelor party out with a bang! We love to work with groups. 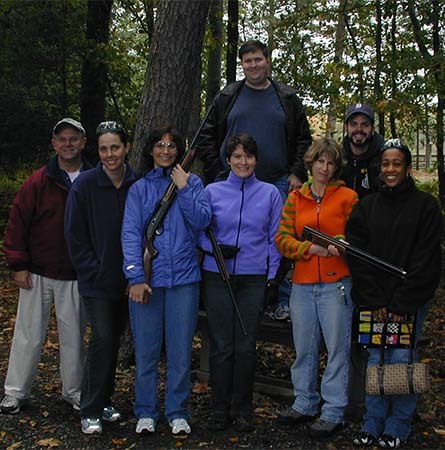 Shooting Star Shotgun Sports, LLC can customize our events to accommodate any type of group. Consider letting us do your next birthday party, family reunion, or bachelor party. Even if you just want to try something new with your friends — we can make your day memorable. Our new covered shooting pavilion holds up to 25 shooters. It even has heat and fans, keeping you comfortable throughout your shooting session. 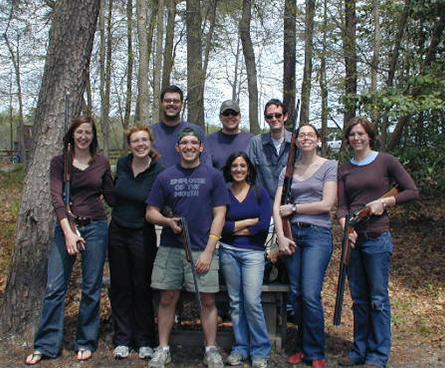 Group packages (for groups of 6 or more) are $85 per person for up to 50 shots. This includes everything that's needed — safety equipment, guns, ammo, targets, and instruction. Please feel free to call or email us to discuss your group function.